Colorless Tsukuru Tazaki and His Years of Pilgrimage is focused on the story of Tsukuru Tazaki. When he was in high school, he was a part of a tight-knit, five-person group. Tazaki is the only one in the group with a colourless name (the others are red, blue, black, and white) and this reflects how he feels about himself in general: colourless, meaningless, a mere empty vessel of a person. This is exacerbated when his friends suddenly cut him off, refusing to see him or talk to him. 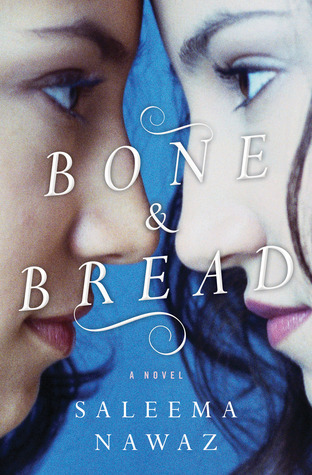 Their abandonment leaves a hole in Tazaki’s life, a hole that has never truly been mended. Finally, one day, he decides to find out why his friends abandoned him all those years ago. What he finds is shocking. I am not usually the type of reader who puts tabs in my books, but Colorless Tsukuru Tazaki was so beautiful that I ended up with a book full of stickies. This book weaves in and out of the present effortlessly, showing us different points in Tazaki’s life – his high school years, college years, and now middle age. As we slowly learn more about Tazaki’s story, we begin to realize just how profoundly his friends’ abandonment affected his life. Murakami’s ability to write such a rounded and sympathetic character truly shows his strength as a writer. I was hooked from the first chapter, and though this book deals with a lot of darkness and sadness, I found myself drawn to it, unable to pull myself away from it until I had finished reading the last page. My read-walking was at its worst during the few days that it took me to read this book. Verdict: A perfectly-constructed book that delicately and poignantly captures the feeling of loss, isolation, sadness, and nostalgia. Content aside, the packaging of the book is beautiful – from the dust jacket with see-through panels, the book cover covered with subway maps, to the red, blue, white, and black end papers. It is so deliberately thought out and so appropriate given the context. Read if: You enjoy books that are plot-driven but also deal heavily with its characters’ thoughts and feelings, are a fan or Murakami’s previous work or have always been curious about his writing, want to lose yourself in a gripping story that will hold you from start to finish. I can’t recommend this book enough. Are you a fan of Haruki Murakami? 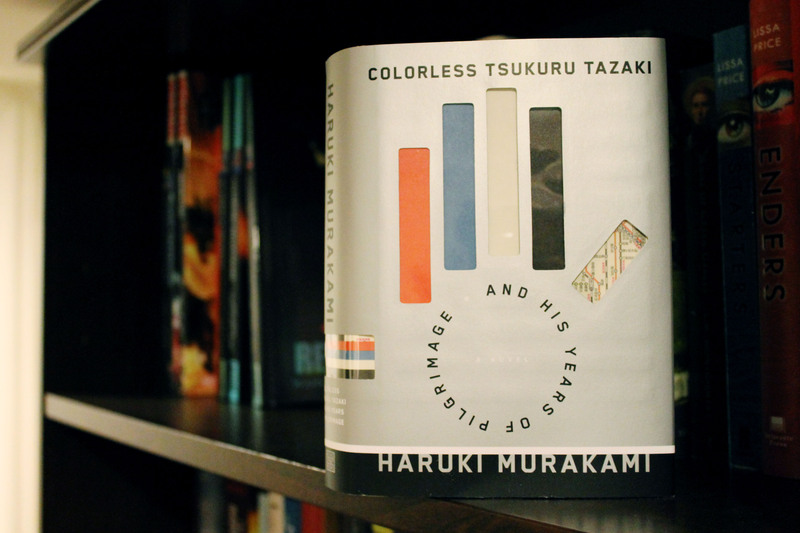 Will you be picking up Colorless Tsukuru Tazaki and His Years of Pilgrimage? Bout of Books 11 Sign Up and TBR! I really enjoyed it! Can’t wait to read more from him. It so cool how we felt so similarly about the book! I am glad to read a positive review from a female reader. Some folks were not happy with his woman characters, but I thought it was deeper than it seemed…happy I’m not alone. The book is ordered, so it was great to read your thoughts as a preview of what’s to come. I’ve never read any of his books before. This is an author I keep hearing about, but have never read. Maybe I will start with his latest! It’s a beautiful book. I hope you give it a try! I’ve never read Murakami either, but this story actually grabs my attention, so i may give it a try. I was always under the impression that Murakami often did magic realism (which i hate) but maybe i’m wrong. I love what you are said about his “ability to construct quiet but beautiful worlds that are told poetically and delicately.” I think you really nailed it right there and this is why it’s so hard to do justice to the experience of reading this book. And I completely agree about the ending. I feel like I maybe need just a little bit more closure on that. Right? Both in his development and his relationship! I was really hoping for a nicely tied-up happy ending, but like I said in my review, I get why it wasn’t (explicitly) there. Have now heard so much about Murakami I’m going to have to read this book! I appreciate your being able to say you couldn’t go into too much detail but that he just “got” it. Sometimes, that’s enough. This book was actually featured in London’s Metro today. Just how amazing it’s supposed to be, so I am curious to get my hands on it. Seems like you have enjoy him! Really?! I didn’t know that, but I definitely need to get it. Free stickers?! YES please! This was my second Murakami and I loved the same things you did. I think his writing style is so beautiful, I’d love to read more of this books. This will be my first Murakami read! Amazing! Have you started it yet? I can’t wait to hear what you think! I’m so glad you loved it! I was surprised by what a quick read this was, and I kind of wish I had gotten to spend more time with this book. Guess I’ll just have to re-read? I totally agree with everything you said in this review; I love Murakami’s ability to write such quiet, poetic stories.